Sorry, we are currently sold out of 'Purple Jade Hexangle Piller Bead Strand'. Please check back later. Sorry, we are currently sold out of 'Unusual Serpentine Jade Carved Column Beads'. Please check back later. 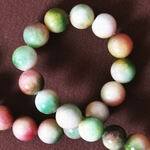 Sorry, we are currently sold out of 'Jungle Amazonite Jade Rondelle Beads'. Please check back later. Amazon Jade Oval Bead Strand - purify the spirit! Sorry, we are currently sold out of 'Amazon Jade Oval Bead Strand - purify the spirit!'. Please check back later. Sorry, we are currently sold out of 'Faceted Yellow Jade Nugget Bead Strand'. Please check back later.